When it’s beet season, you’ll want to get your hands on as many of these earthy purple bulbs as you can. As soon as you do, cook them up so you can enjoy them straight from the oven or use them later in recipes. Here’s an easy way to oven roast several beets at once. Start by trimming the root and stem ends of each beet. You don’t even have to wash them first, but you may want to wear gloves if you don’t want bright pink fingers. Next, completely wrap each beet in tin foil. 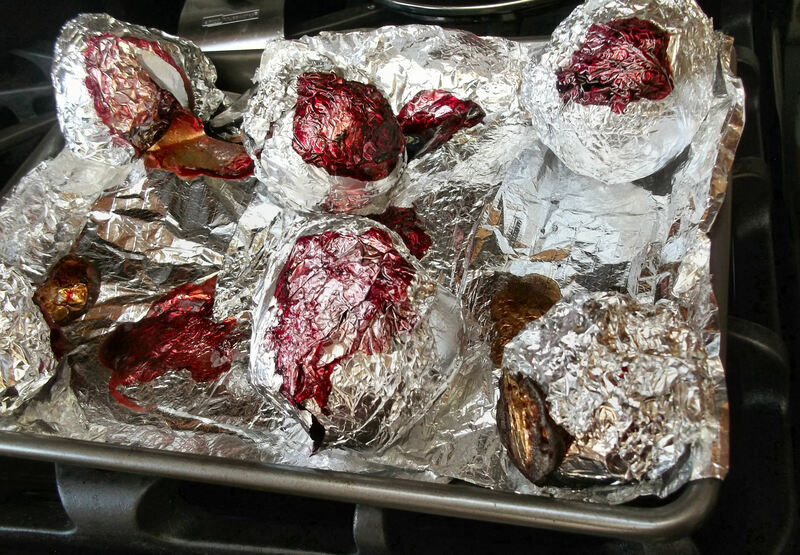 Place the wrapped beets on a cooking sheet lined with foil. The beet juices will seep out during cooking, so lining the sheet makes for easy clean-up. Roast the beets at 400 degrees F for about 45 minutes, or until they feel softened and can be easily pierced with a fork. Notice how just about every beet bled a little in the process. 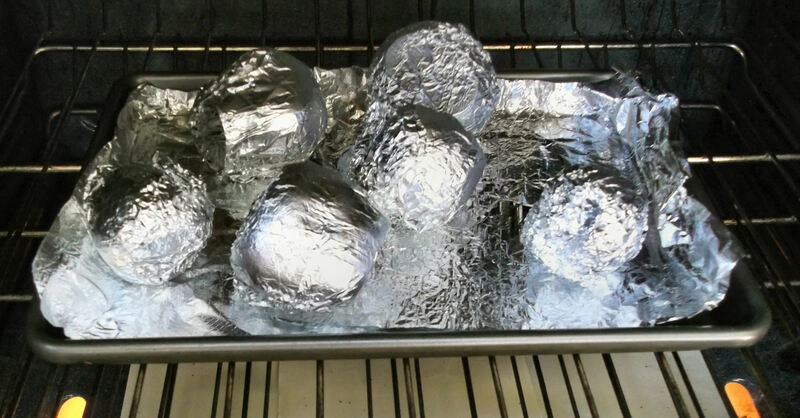 Aren’t you glad I had you line that pan with foil? 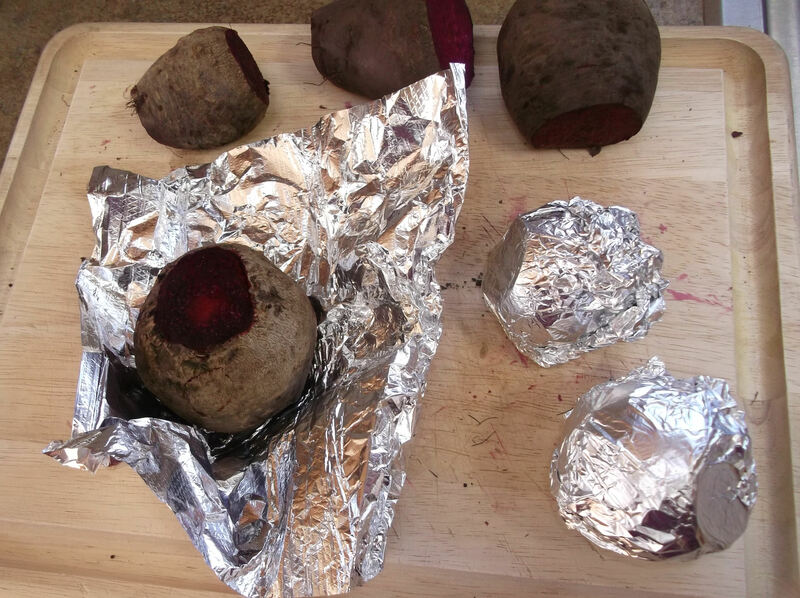 Allow the beets to cool enough to handle them, then peel the foil off and use the foil to scrape off the skins. 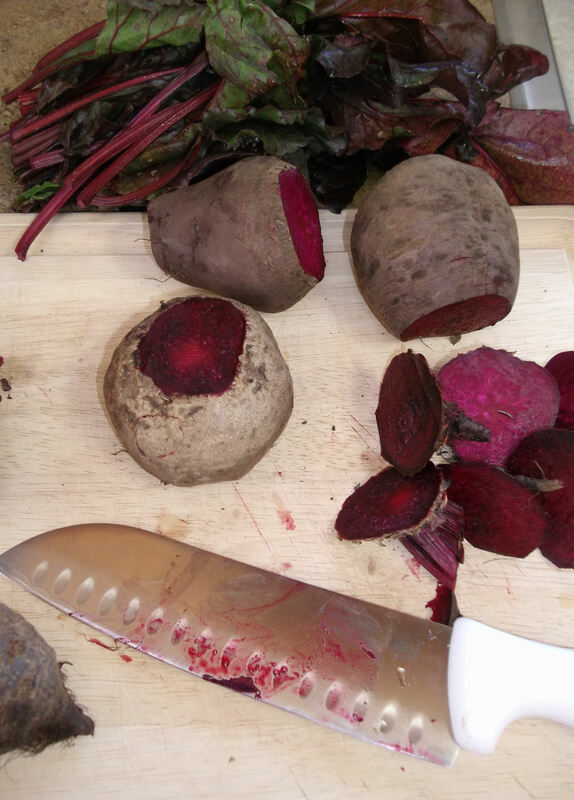 Some beets may have tougher, thicker skins and require a vegetable peeler, while others can be peeled with just a paper towel. Discard the peels and foil on the baking sheet, and then wad it all up and throw it away. Talk about easy clean-up. 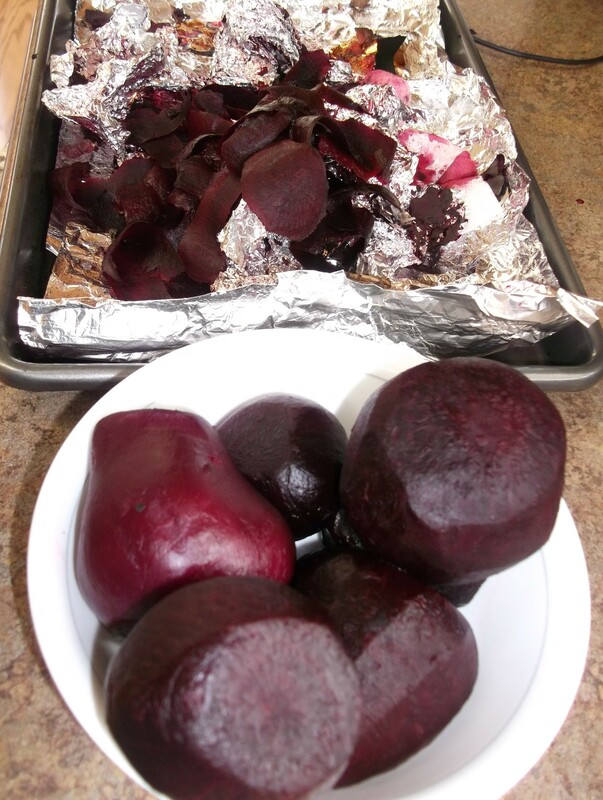 Store the peeled beets in a resealable plastic bag in the refrigerator for up to a week. Enjoy them any way you can!